This is a must have for any traveler. 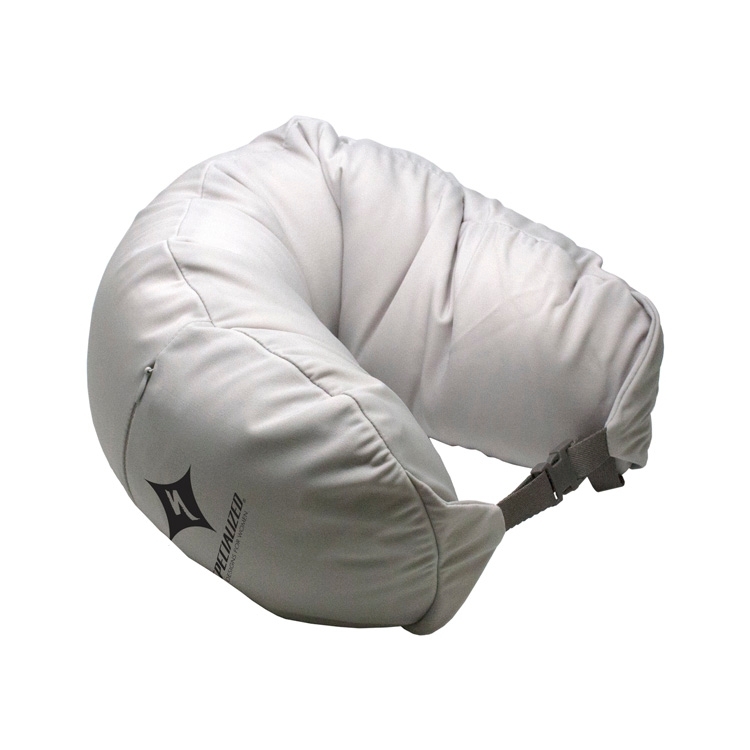 Pillow is constructed of soft nylon material. Filled with micro beads for comfort. Adjustable strap can also be used to secure pillow to purse, backpack or luggage before departure. Use as a standard neck pillow, mid and lower back support or foot rest. Includes side zip storage pocket that is great for cell phone, earphones, wallet or sleep eye mask. 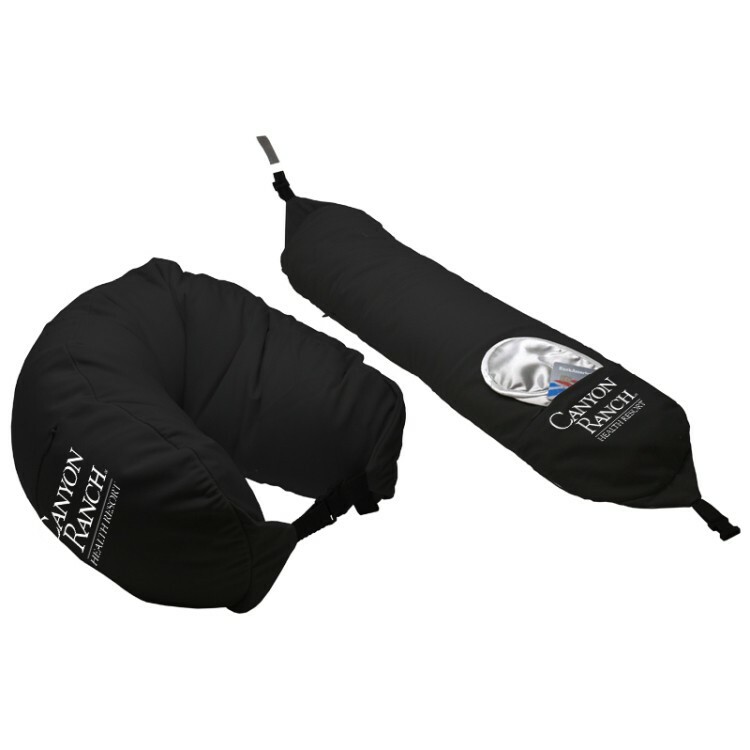 Perfect for the plane, car, train or around the house. 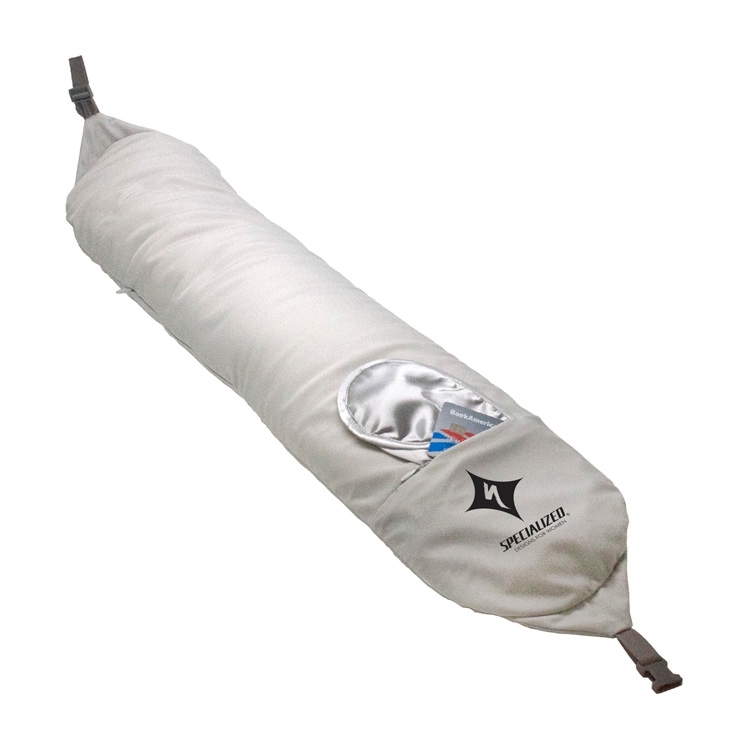 Pocket: W 2.5" x H 2.5"
Body of Travel Pillow: W 6" x H 2-1/2"
Pillow: W 29-1/2" x H 6"
Shipping Weight: 24 Units: 10 lbs.